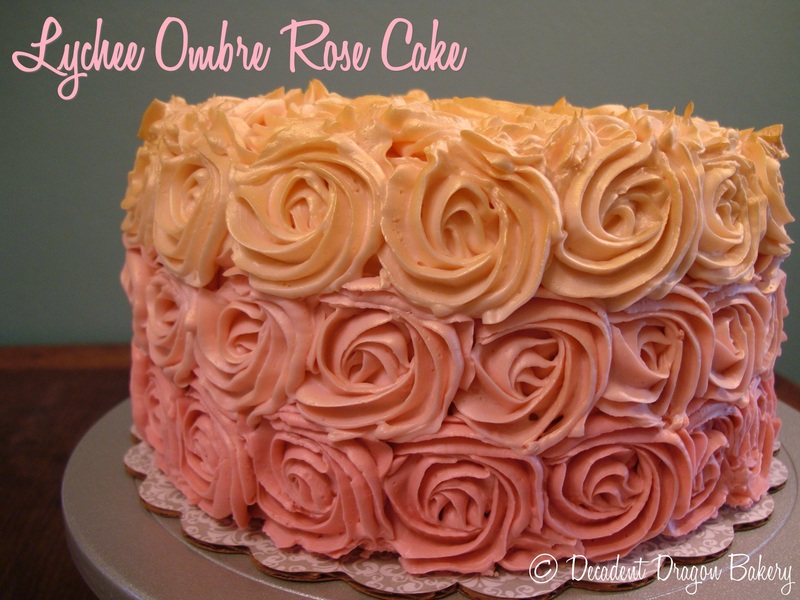 I just finished a fun project: the Lychee Ombre Rose Cake. A friend and former work colleague celebrated her little one’s baptism this weekend. I was honored when she asked me to make a rose cake for the event, after seeing my first attempt back in October. With all the fuss putting this cake together, I didn’t get as many photos as I would have preferred. But I wanted to share the experience with you, and what I learned. This is a crowd-sourced cake. This cake could not have been accomplished without the help of fellow food lovers. I took inspiration from many sources as I designed this cake over the past month. 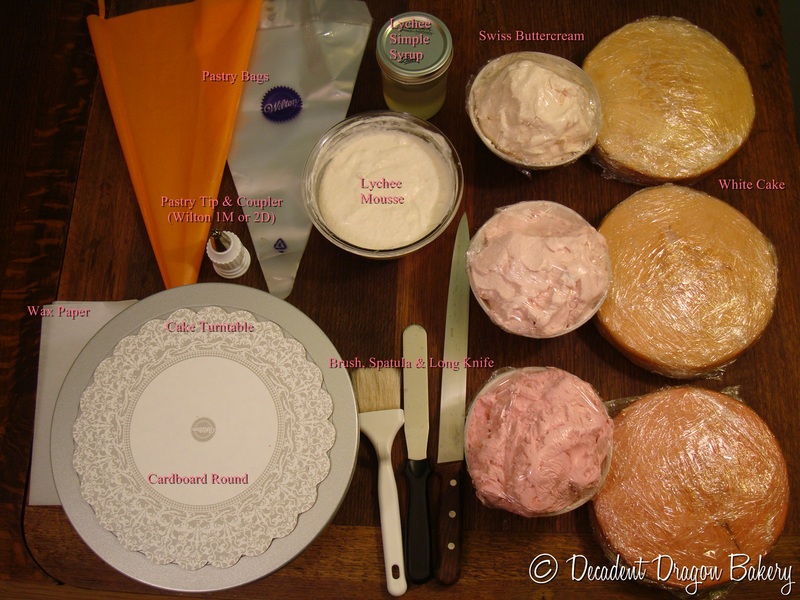 I experimented with numerous cake recipes, and at least six (6) types of buttercream. [There will be a separate post on buttercream, I promise you.] Although I did modify many of them, the recipes below stood out. They are solid recipes you can trust to perform. 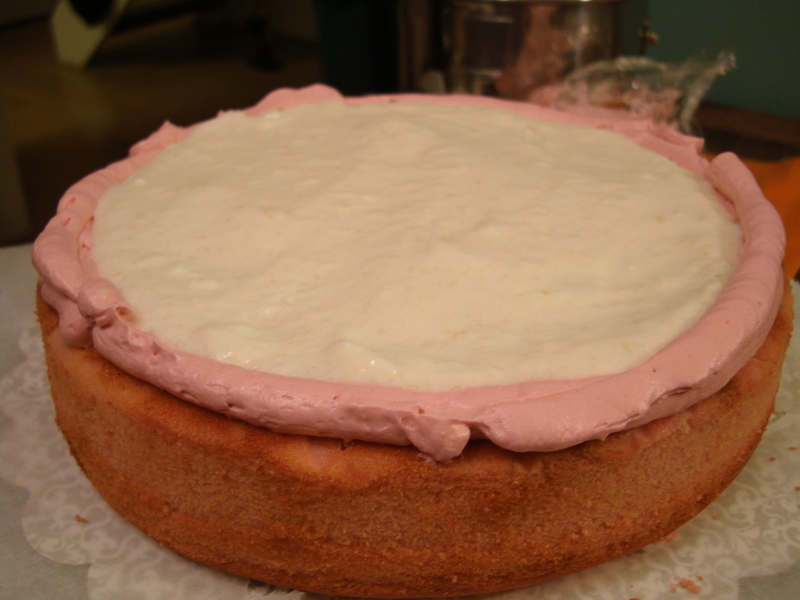 White Cake : Thanks to SprinkleBakes for a moist White Cake Recipe! All told, I probably spent five hours on this final cake. You can’t rush genius. Baking the cakes, whisking fluffy Swiss Buttercream in my little mixer, whipping up lychee mousse and tinkering until I found the perfect color of pink. It takes time, people! Rose pink, petal pink, burgundy, red…so many options for pink. 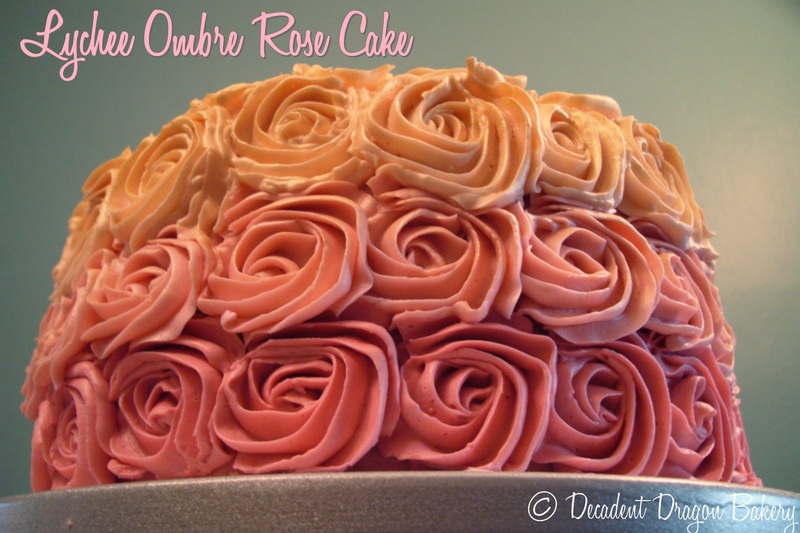 Once I had all the requisite cake components, I was ready to build my Lychee Ombre Rose Cake! You can see there are quite a few tools you’ll want close at hand. Let me know if you are curious about any of these tools. A cake turntable is really nice to have. 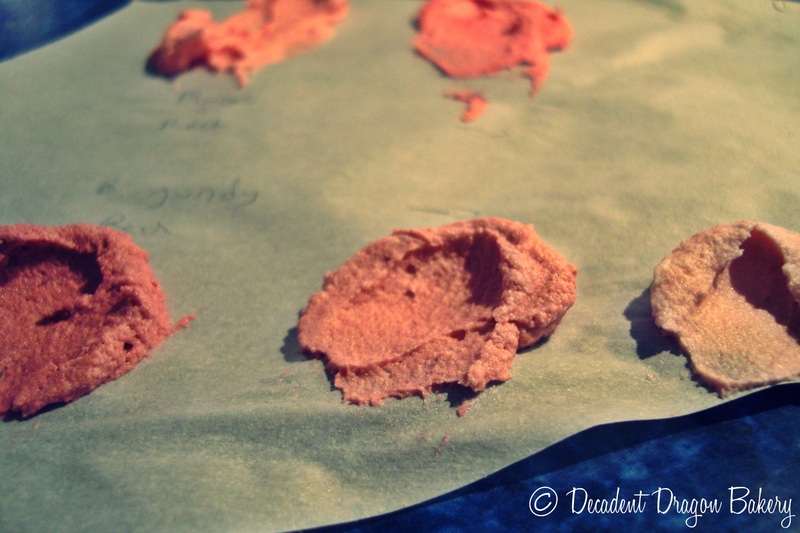 The wax paper is simply to protect the cardboard round from being stained by the buttercream. Torting and filling the cake. Make sure you pipe a dam of frosting to hold in the mousse filling – or you may experience ooze. I applied an ombre pink crumb coat (dark to light). 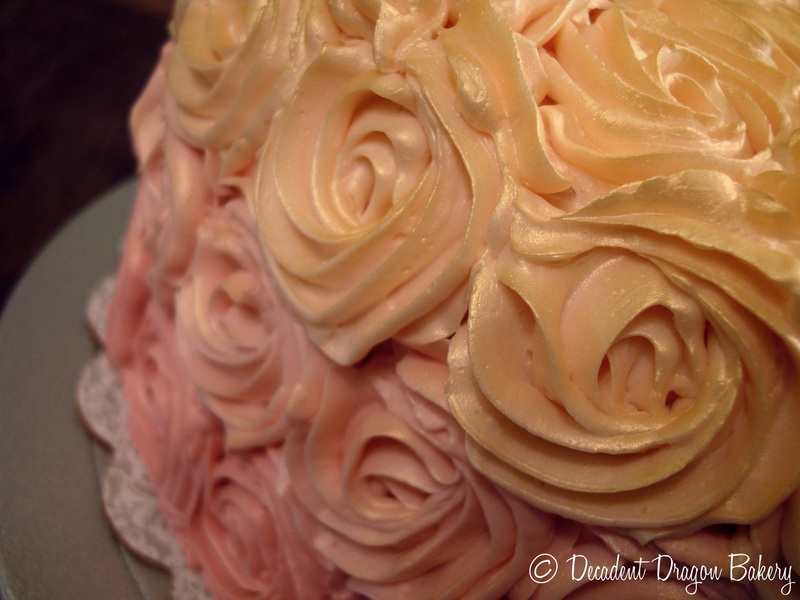 I didn’t worry about the crumbs visible in this icing since I was just going to cover it all over with roses. The photo above is before I applied the gold tint. 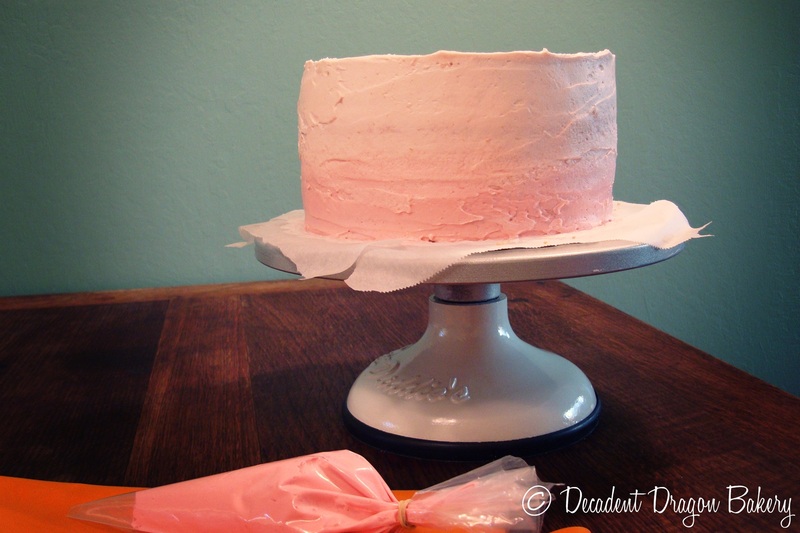 I used the Wilton Gold spray tint to airbrush the cake. The gold airbrush gives the cake an iridescent glow. Don’t Bother with American Buttercream. Just don’t. NO Crisco either. Use Swiss Meringue Buttercream. It’s so much better. Make a LOT of frosting. 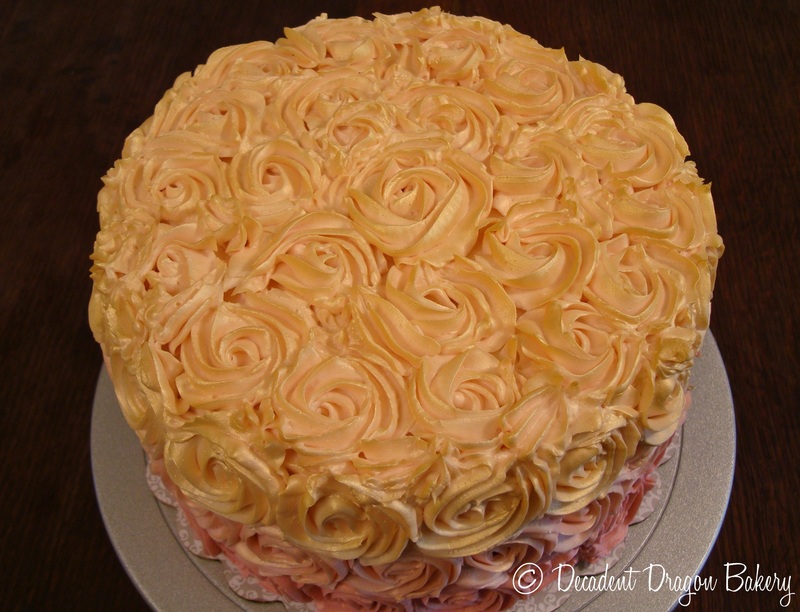 For this cake, you will need a lot of frosting, particularly for icing the top layer of roses. 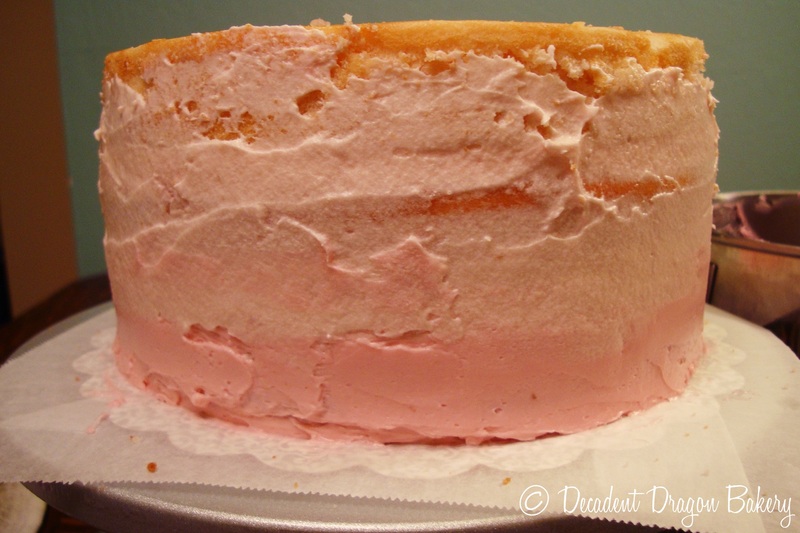 I almost ran out of the lightest pink icing. Reserve some uncolored icing for emergencies. Keep your icing cool. 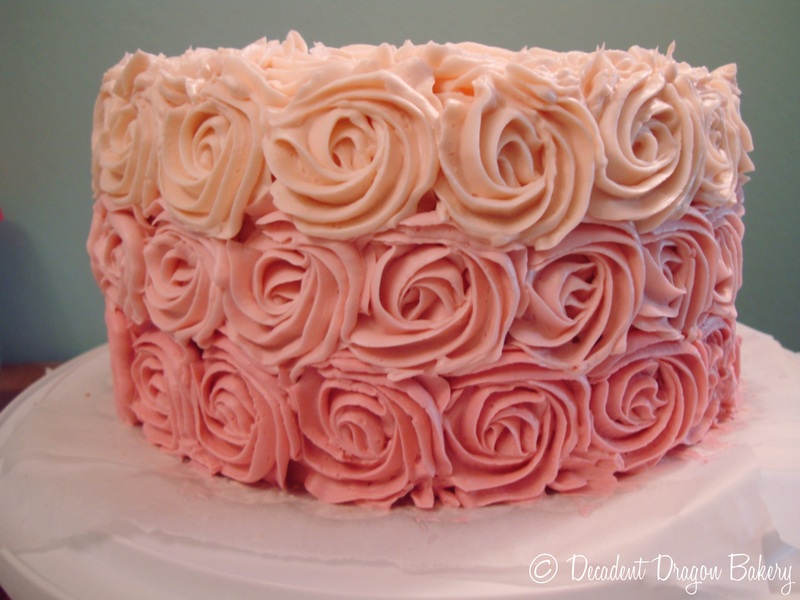 The rose consistency changes as you ice and warm the icing in the bag. So take breaks and briefly chill the icing to avoid this. Each time I make this style of cake, I get a little better at it. Still plenty of things to learn and improve upon. 10,000 hour rule, right? Overall, I really appreciate my friend taking a chance on me as a newbie baker. And I hope you take a chance on yourself and make this cake, too! 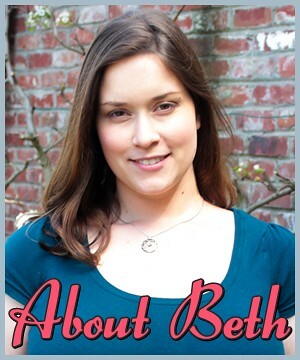 Great Job, Beth! I really like how the frosting underneath the flowers also does the pink-white color transition. Very classy! © 2013 Decadent Dragon Bakery. All Rights Reserved.